ABS-CBN’s upcoming teleserye Maria La Del Barrio debuts on primetime television this August. 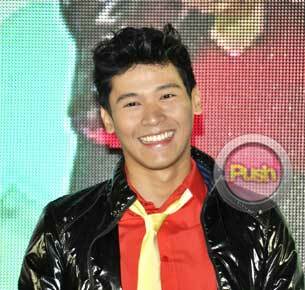 Lead stars Enchong Dee and Erich Gonzales play lovers separated by social classes and well-kept secrets. Having been paired in three teleseryes and one hit movie, the two said they are now more at ease with doing intimate scenes in front of the camera. Now that he is about to portray his biggest role yet on primetime television, Enchong was asked if he thinks he has already surpassed the likes of Gerald Anderson and Jake Cuenca as the sexiest leading men in showbiz. “Ayoko nung may papalitan, may uunahan. Trabaho lang. Hindi naman kailangan na lagi may competition,” he clarified.